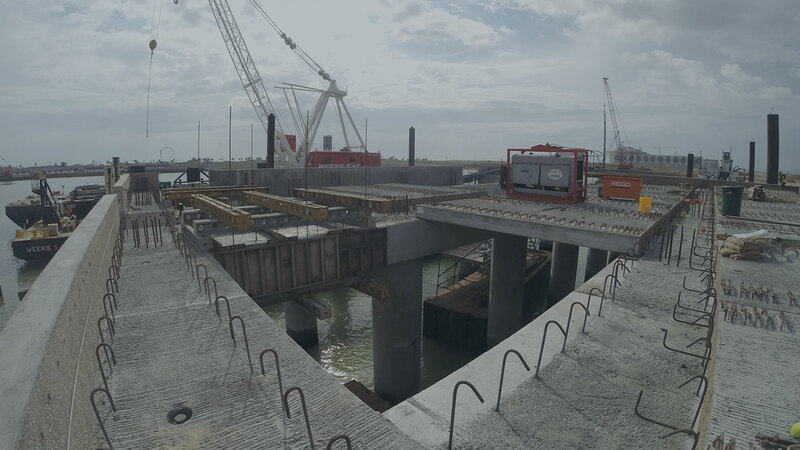 Locke provided several key components towards the construction of a precast dock platform down in Freeport, TX for the LNG industry. 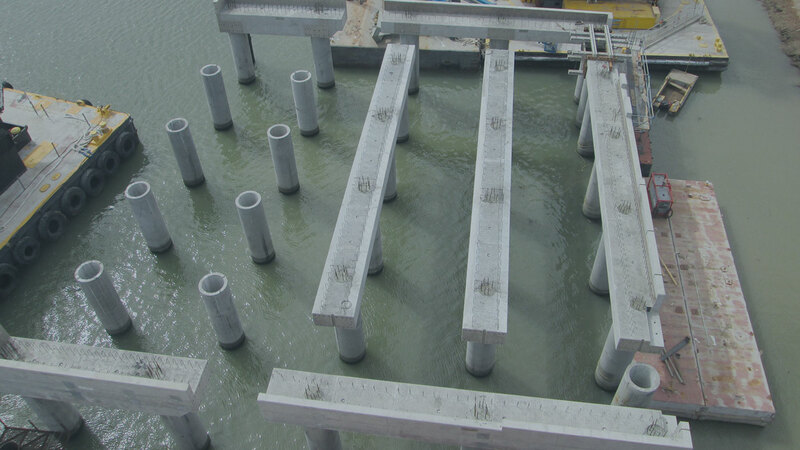 The dock systems were originally designed with a pour-in-place concrete beam system supported with concrete piles.In a design/build effort, Locke worked in conjunction with the customer to develop precast pier cap beams to dramatically reduce the project schedule and cost. 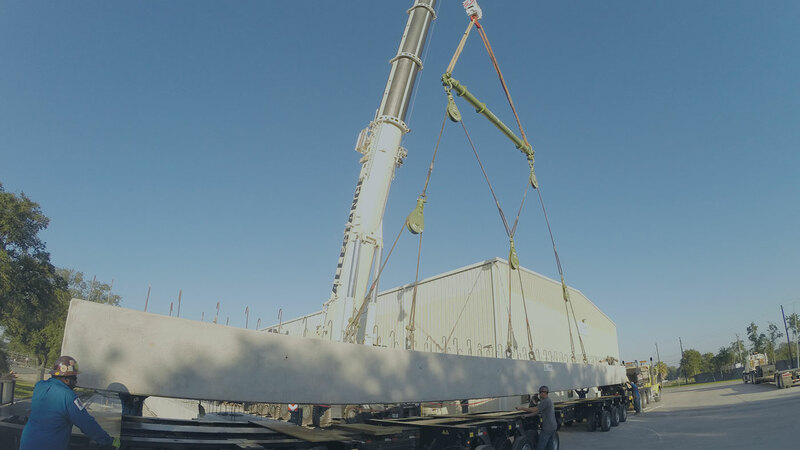 Locke’s engineering department utilized 3D modeling tools to ensure a perfect fit between precast components and eliminate any potential conflicts. 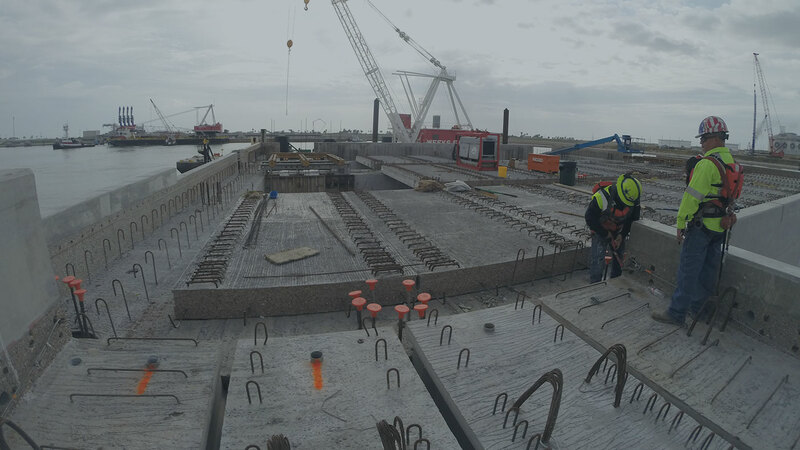 The final outcome resulting in 9 large beam sections weighing as much as 215,000 lbs and as long as 70 feet in length along with 40 precast deck panels spanning the beam sections and creating a working platform to finish the 100’x100’ dock system on. Hundreds of bar couplers were used to aid in closure pours between beams and the entire precast system was produced with exposed reinforcing steel and the surfaces were treated to create a roughened surface to adhere to the final “bathtub” concrete pour to finish off the top surface. All of these precast elements were produced and shipped from our facility here in Houston, TX.